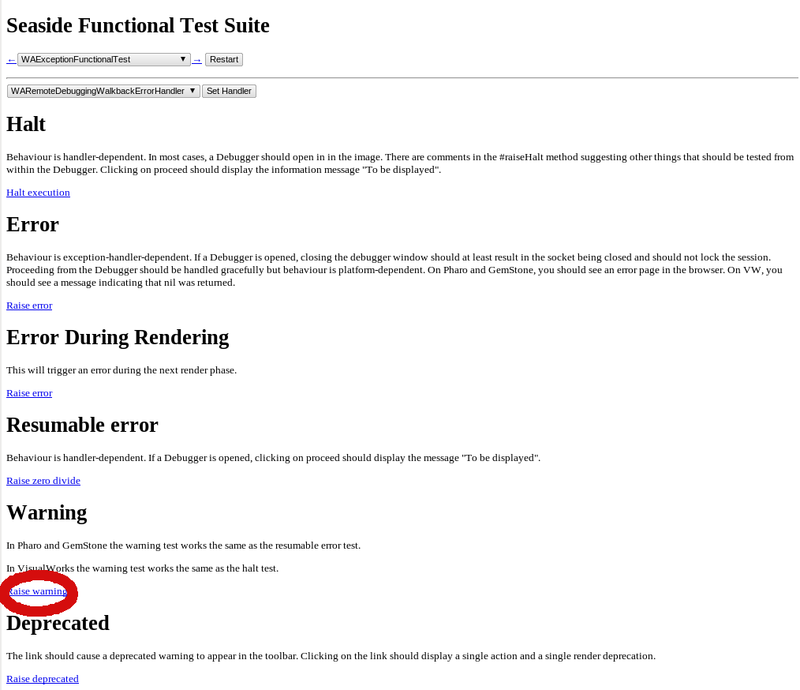 One of the harder problems that developers have to deal with is characterizing issues that show up only in production, especially if exceptions aren’t being thrown. In development, you’d just toss a `self halt` or two into the code and you’d be off to the races, but in production where multiple servers are involved, things can get a little more complicated. Often developers must resort to print statement debugging and sophisticated server log mining tools to characterize production issues. 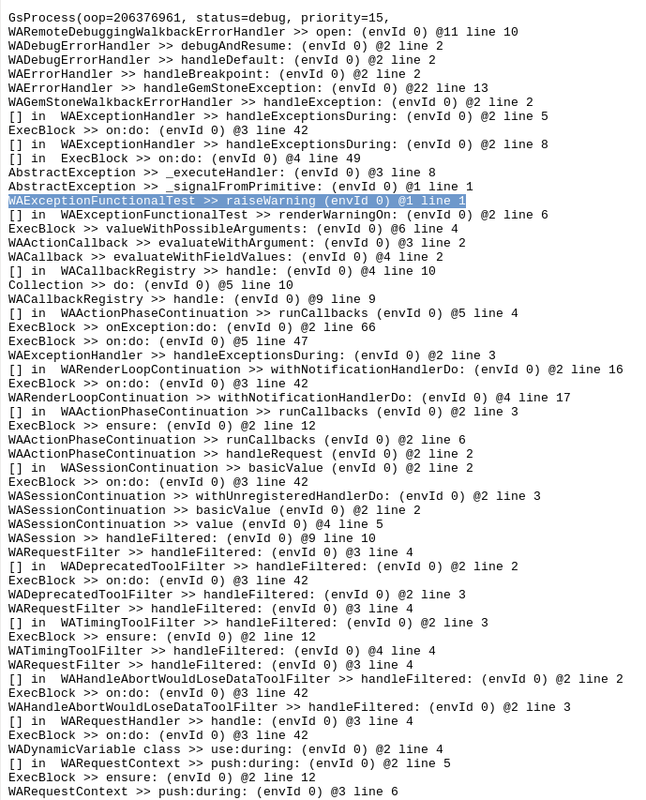 Breakpoints have been available in GLASS, for a long time now. 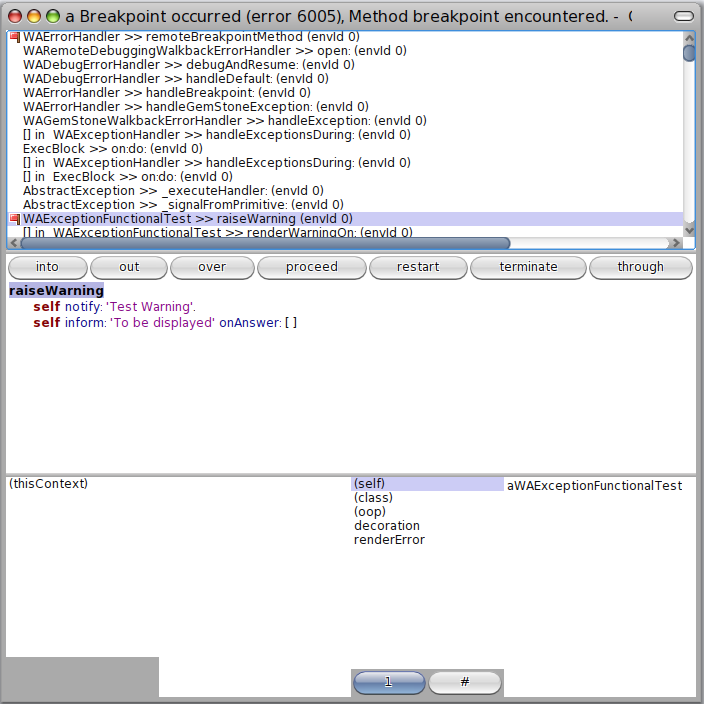 In 2008 I added remote breakpoints for Seaside2.8 and finally with the release of Seaside 3.0.6.3, remote breakpoints are available for Seaside 3.0. 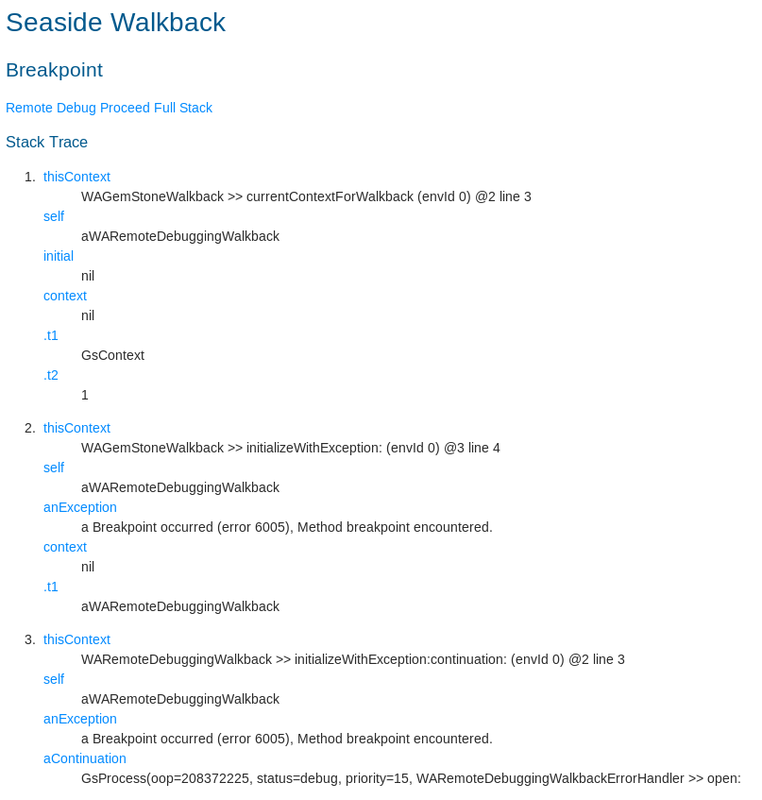 With remote breakpoints, you can easily set/clear breakpoints in all of the gems that are serving Seaside and when a breakpoint is encountered a continuation is snapped off and added to the ObjectLog. 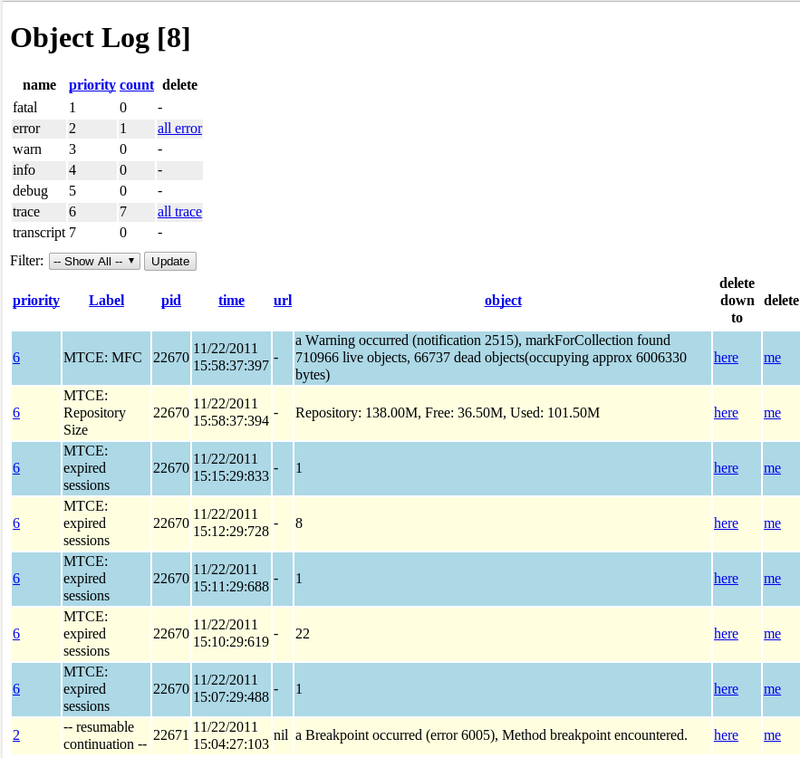 At your leisure, you can debug the continuation from GemTools or inspect the continuation via the ObjectLog. 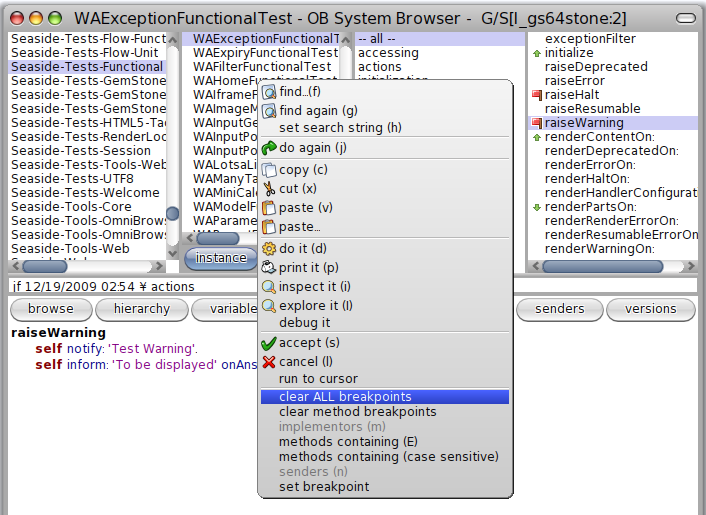 Before using remote breakpoints, you need to do a little prep depending upon which version of GemStone/S you are using. 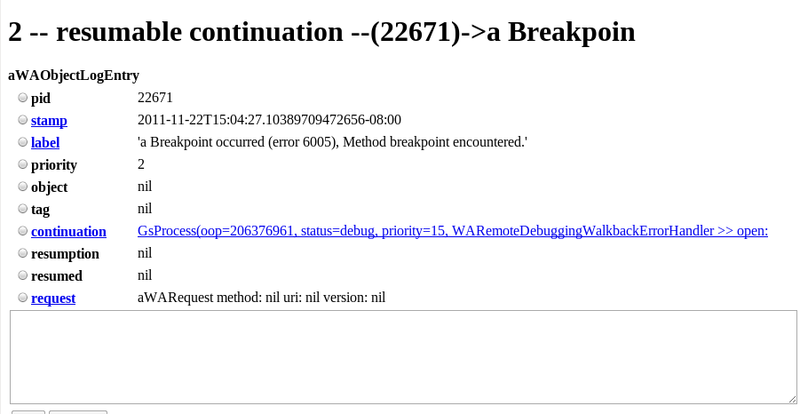 true "enable for remote breakpoints and profiling"
nil error: 'Could not commit for GemToGemSignaling' ]]. By default, GEM_NATIVE_CODE_ENABLED is set to FALSE, but in a production installation you should set GEM_NATIVE_CODE_ENABLED to TRUE to get the best performance and only set it to FALSE if you want to enable remote breakpoints. Start up a GemTools development image. 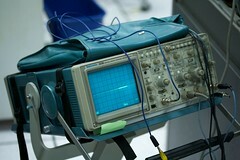 Specify the adaptor and number of Seaside server gems to be used (note that the Seaside30 session workspace also has the necessary template expressions). Start the Seaside server gems. 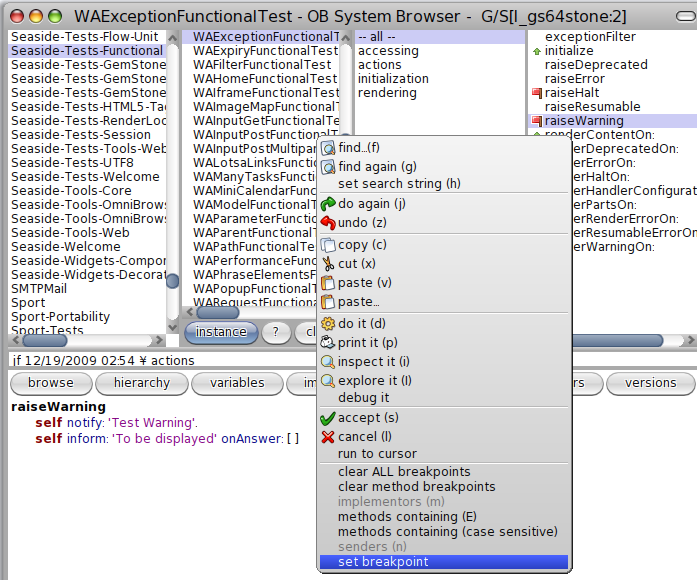 For this example we’ll set a breakpoint in the WAExceptionFunctionalTest>>raiseWarning method. If you’ve just started your Seaside gems for this test, then you should force a transaction by selecting either the ‘Commit’ or ‘Abort’ menu item on the GemTools Transaction menu. The list of running Seaside gems is maintained in a persistent list and the action for starting the gems from GemTools doesn’t involve a transaction. If there is no commit or abort between the time you’ve started the Seaside gems and set the breakpoint, the breakpoint will not be set in the Seaside gems. 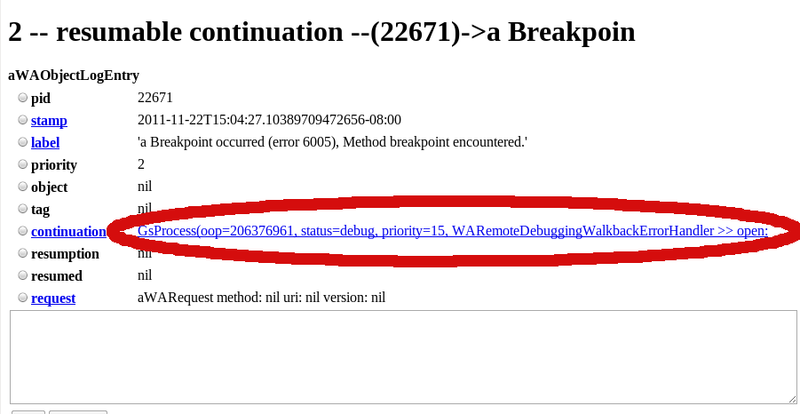 You can inspect continuations in the ObjectLog from your web browser by using the WAObjectLog component. 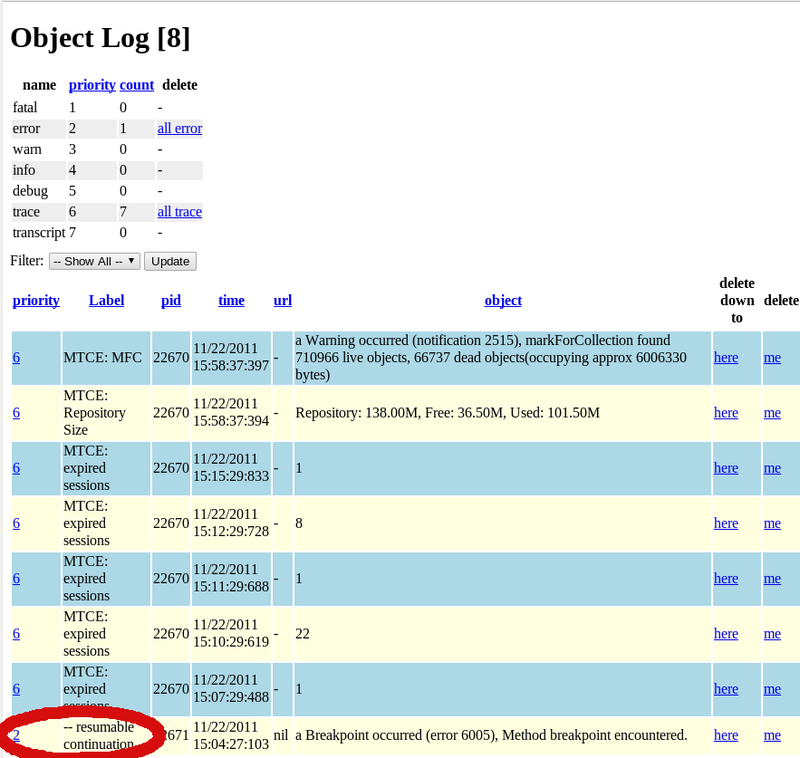 Register the component by following the instructions on the ObjectLog page in the wiki. WOW. WOW. WOW. Amazing. I still cannot understand why someone would choose other platforms when such a great beast like GLASS is around the corner.